Mobile payment apps are the next stage of cashless payments, say bye-bye to cash payments and let your ATM cards rest for a while because mobile payment apps allow you make seamless payments with your phone-you can pay for your shopping, goods and services and so much more. Since everyone spends more time on their smartphones than they do with their computers or laptops, mobile payment apps have become increasingly popular and are being used for most online transactions today. There were over 18 million smartphone users in 2017 with a prediction of over 20.5 million users in 2018. The use of smartphones will only increase with time. Making payments with your smartphone is easier than ever with mobile payments apps providing consumers with new ways to exchange money, purchase products both locally and internationally, manage expense and earn rewards while doing all these fun activities. Mobile payment apps are digital wallets, mobile commerce apps, cryptocurrency apps and peer-to-peer payment platforms. A standard mobile payment app should have these features regardless of their platform. These are sometimes called peer-to-peer payments -which occur when a person sends money to another person. You can send funds to friends and family. The money sent could either be for family or friends or payment for goods and services. Each payment is different from the other. Using PayPal mobile payment app has an example when you send payments as family and friends, the sender pays the transaction costs but if you send payment as goods and services, the person that receives the money will pay the fee. Mobile payment apps can also be used to make payments in a brick and mortar store. You don’t need your ATM Card or POS machine. All you need is your smartphone and the mobile payment app installed on it. Although this looks very smooth and easy, there are a lot of technical issues behind the scenes, which contribute to making this work. First off, the offline store needs to have the facilities set up and in place before this can work. 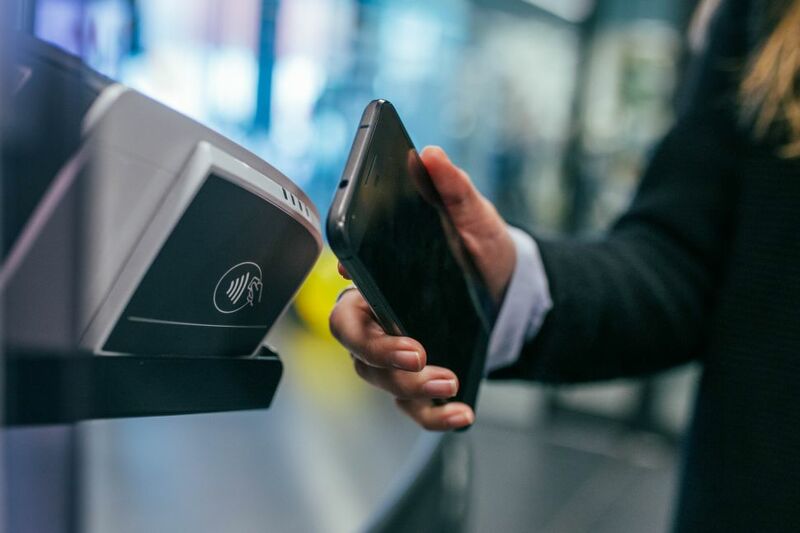 This setup involves Near-Field Communications (NFC) technology, which makes the use of mobile payment apps in offline stores successful. I’m sure you already guessed this feature because it’s an obvious one. Mobile payment apps can be used to make payments on online e-commerce stores, websites and blogs without the need for an ATM card. For this to work, the e-commerce store or website/blog should list your mobile payment app’s platform as one of the payment options, which give you, access to make payment using your app. Example: You want to make a purchase on ebay.com; they accept a wide variety of card payments and PayPal. So all you have to do is make payment using your PayPal mobile app and the transaction is successful and complete. Every mobile payment app should have a web interface that can be accessed using a web browser. This web interface will mostly be accessed on computer/laptops, which can be crucial when a person’s smartphone battery is dead or non-operational. Web interface creates an excellent substitution and can help keep transactions going with or without the use of a smartphone. The world is a global village and international payments have been so important in recent times because a person living in Nigeria can decide one day that he wants to make an international purchase, maybe a product or service. This purchase would involve international currencies and in order for the transaction to be successful, international payments in foreign currency have to be used. Payment would be converted and paid in foreign currency with the buyer getting billed in his local currency. Some mobile payment apps reward its users for taking positions within and outside the app. You earn points by referring friends, performing transactions and doing special actions within the app. These rewards can be converted to real cash in some instances. Airtime recharge purchase, payment of bills like electricity, DSTV, LCC etc and quick loan collection feature is available in some mobile payment apps in Nigeria. 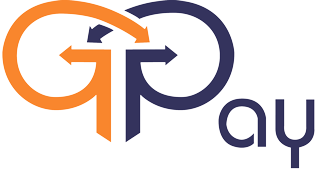 The GPAY Revenue and Collections Optimizing Platform offers a host of solutions to maximize revenue collections, reduce the cost of collections and facilitate payment reconciliation and reporting for electricity distribution companies. Mobile money operators? Ring any bells? Let me give you a hint *737# -that is a mobile money service which is only one of the cool things mobile money can do for you. Mobile Money came into existence in 2012, it was brought into existence to compliment the entire spectrum of the cashless policy of 2012 making it more effective. Mobile money is a secure payment service that enables you to pay for goods and services, receive money, transfer money, buy airtime using your mobile phone and the best part in most cases, you don’t know internet access. All you need to do is simply dial a code and everything becomes accessible by you. Mobile money transforms your mobile phone into an electronic wallet (e-wallet) which is linked to your bank account. 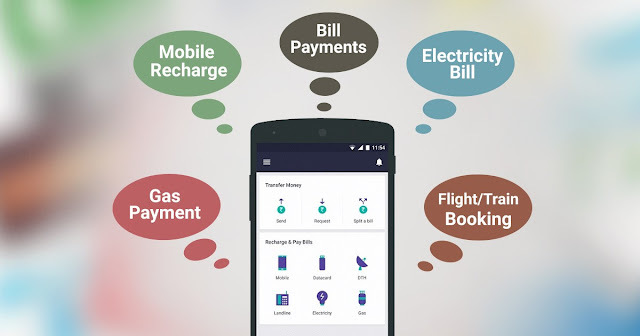 This e-wallet gives you the power to make mobile-based instant payments either by transferring money to your friends and family or buying airtime or paying for bills, you can now do all those stuff without internet using your mobile phone. Mobile Money services in Nigeria are regulated by Central Bank of Nigeria (CBN) and as such they get to create guidelines to ensure the rapid growth and adoption of the system by Nigerians. CBN is responsible for licensing mobile money operators in Nigeria. We currently have about 21 mobile money operators in Nigeria fully licensed by CBN. Some of these mobile money operators may have shut their services down. This model is centred around a bank or group of banks seeking to deliver payment services leveraging on the mobile payment system. This license is for bank or group of banks alone. This gives the opportunity for corporate organizations to deliver mobile payment services after fully licensed by Central Bank. This is a model used by network operators like MTN to their subscribers adding value to them by providing them with a convenient way of paying for goods and services using your mobile phones. Network operators don’t have licenses but through partnerships with licensed mobile money providers, financial institutions like banks, payment processors they can offer mobile money services to their customers. Being fully licensed by CBN and still subject to review from time to time after being licensed. Be issued a unique shortcode by Nigeria Communications Commission (NCC) that would be used as a unique identifier to carry out mobile payment services. 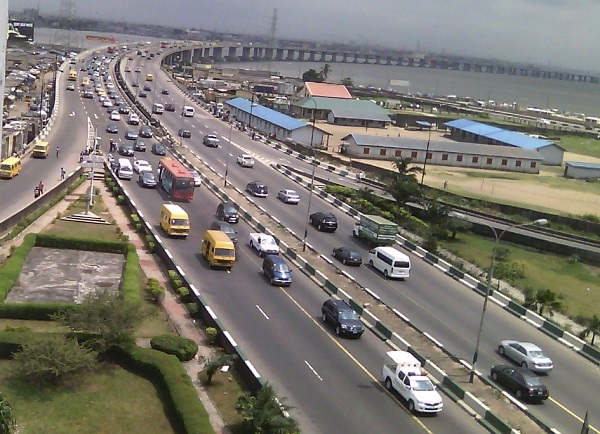 Be issued a unique schema code by the Nigeria inter-bank settlement system (NIBSS) for managing interoperability. Register all mobile money users based on the entire Know Your Customers (KYC) system. The mobile money system would require a registered user to activate the service before any transaction can be made and approved. Activation is done by either creating a PIN or password. Every mobile payment transaction is issued a unique reference code issued by the system ensuring transparency of mobile money operators. Mobile money providers have the responsibility of putting in place and implementing a well-detailed process that covers the entire solution deliver which is mobile money. Mobile money is a secure mobile payment service solution. What are the little benefits users and customers can get from using the platform? Easy to use through shortcodes, SMS, USSD and so on. GPay Billing and Aggregator System is a robust payment platform that allows for seamless bank integrations to facilitate ATM deployment, mobile, online and in-branch utility payment solutions as well as partnerships with other licensed payment services providers. They also provide world-class business solutions such as collections and revenue optimization platforms and data analytics which would take your business to the next level. We haven’t covered payment processors alone and payment processing companies. With this post, we are going to explore the reasons why payment-processing companies are needed in Nigeria. But first, let’s start small. Payment Processing is a term used to describe how transactions are automated between the customer (buyer) and merchant (seller). Payment processing is a vital part of every successful online transaction and can be used for small businesses, startups and e-commerce stores because the basis is the same. These are the people that carry out payment processing. Payment processors are the financial institutions or companies that work in the background providing all the payment processing services used by an online merchant or seller. 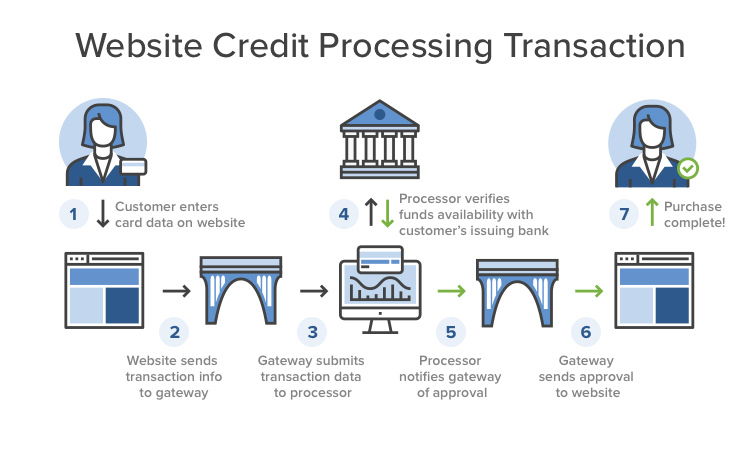 Payments processors are the bridge that connects both the merchant or seller account and payment gateway by instantaneously passing across informing back and forth between the seller’s account and payment gateway. Payment processors also make sure that as information is instantaneously passed, such information is kept secure and airtight and everything happens and works smoothly for the end user. Let’s go through a standard online transaction process together. In this example, we are going to be looking at every detail of the payment process and also tracking where the money goes, who does what and which individuals or companies are involved. Customer/Buyer – Payment Gateway - Payment Processor - Card’s issuing bank – Payment Processor – Approval/Decline - Payment to Merchant/Seller. Let’s call him Frank, he visits your e-commerce website, finds a product or service he likes, makes a purchase by providing his card information and clicks on the BUY button -waiting a few seconds to see a Transaction successful message. Frank’s transaction details are sent to the payment gateway which contains his personal and debit card information. This information forms the transaction details which are securely sent from the payment gateway through the payment processor while referencing the merchant ID number and finally arrives in the merchant’s account. The payment processor also receives the transaction details and contacts the issuing bank to check if Frank has enough money to make this purchase or if his credit card details are correct or valid. It’s at this stage that if Frank provided the wrong debit card number or made a mistake with any of his debit card details or billing address, the transaction will fail. Also, if Frank has limited funds in his account to pay for the product or service, the transaction fails. The bank Frank got his debit card from, will accept or decline his purchase due to either lack of funds, wrong card information, invalid card information, wrong billing address and so on. The approval or decline information goes back to the payment processor. 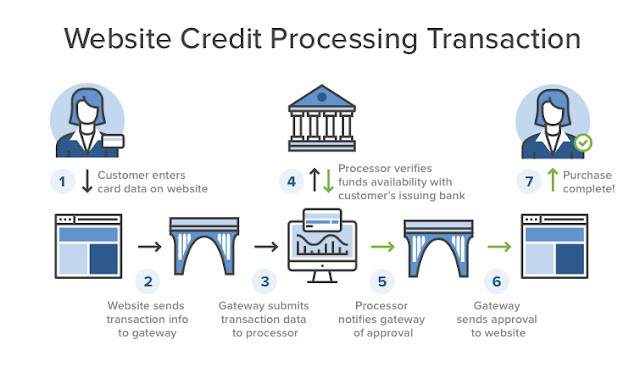 The payment processor sends the transaction approval message or declines message to the payment gateway. If the message was approved, the sale can go on. The merchant/seller would also be informed of a successful transaction and would start preparing to ship out the items to Frank. This is when Frank would be Transaction Complete and receives a shipping date stating when his product or service would be delivered or rendered to him. Normally payment is held from the merchant/seller until he fulfils his purpose, once he does what he needs to do, the bank that issued Frank his debit card releases funds to the merchant’s bank and after a short settlement period, the money is paid to the merchant/seller. Why money is not given directly to the merchant is to protect the buyer, it’s called Buyer Protection because it protects the buyer from merchant fraud and makes refund faster because the money is still with the banks. Just how important is payment processing in Nigeria? 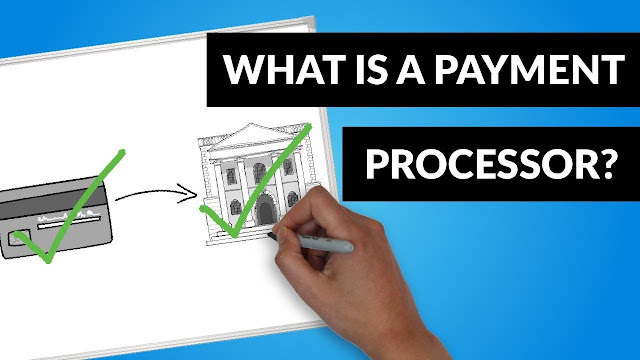 Try making an online payment without a payment processor, it won’t probably work because as illustrated above, in a typical online payment process, payment processors are used twice in the whole equation and they act as a bridge instantaneously sharing data making online payment work. Simply put, without payment processors, there wouldn’t be online payment. Payment processing services are good for all kind of business from small businesses, startups, medium-sized business, e-commerce stores, brick and mortar stores too can add online payment services as part of their payment options. When something is good for business, it means increased cash flow, low cost of integration and reduces labour costs which makes your business more profitable. This takes into account, all the benefits online payment; payment gateway and payment processors give to a customer. Saves money for transportation and miscellaneous. 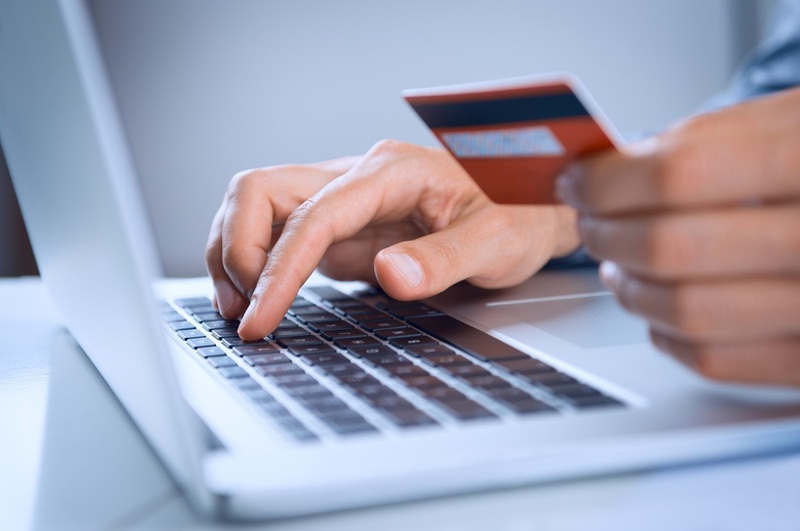 Payment processors reduce the chances of errors in an online payment transaction drastically but adding the human element as part of the payment transaction process increases the change for errors which can cost both the buyer and seller money. We started with meters then moved on to card prepaid meter system and we started paying for our electricity bills at NEPA/PHCN office then, we could pay through banks which reduced the stress everyone had to face because NEPA/PHCN office used to get too crowded with day-long queues. 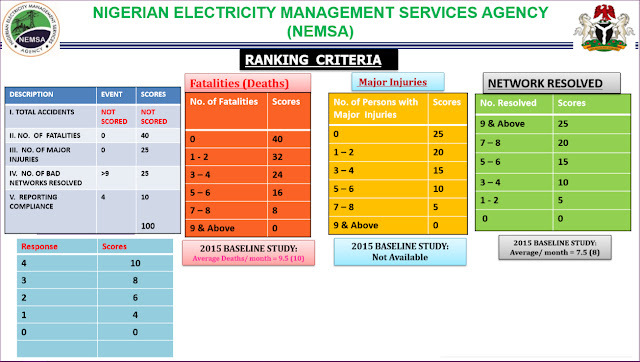 We have however moved on to the next phase of how we pay for electricity bills in Nigeria. The new phase is a combination of your prepaid card meter number, internet, ATM card, smartphone or computer and a payment gateway. This new system is fast, convenient and secure. In this new phase of electricity bills payment in Nigeria, the old payment to NEPA/PHCN offices and banks options is still in existence so it’s a hybrid system where we have both the old and new method of paying electricity bills in Nigeria. What’s the Best Way to Pay for Electricity Bills in Nigeria? Since electricity bills payment is a hybrid system, there are two ways of paying for this service in Nigeria. 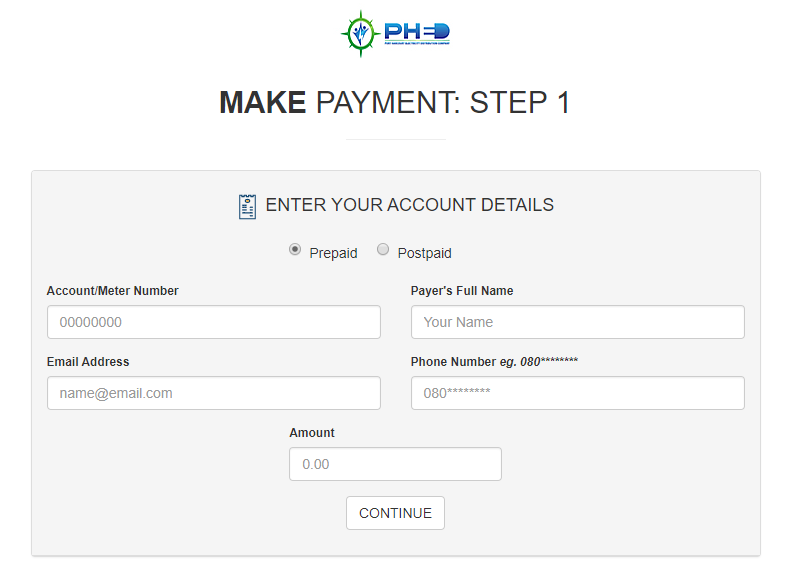 The cash method involves going to a PHCN office with your cash and meter number to make payment for electricity bills. CASH – PHCN OFFICE – METER NUMBER – PAYMENT – HOME – INSERT CODE. This method is still popular among Nigerians because some people just love the traditional idea of holding cash and making payment, collecting receipt and going back home to input your code. This method still appeals to a lot of Nigerians because they are physically and manually involved in every process making the process look more real and trustworthy in their sight. This still doesn’t mean it’s the best way to pay your electricity bills, because there are pros and cons to this method. Human factors e.g. rudeness of the attendant or he/she doesn’t know what to do which results in human error and loss of cash. Closing hours, Weekend, Public holidays; their offices would be closed and you can’t make payment until Monday or end of the holiday season. 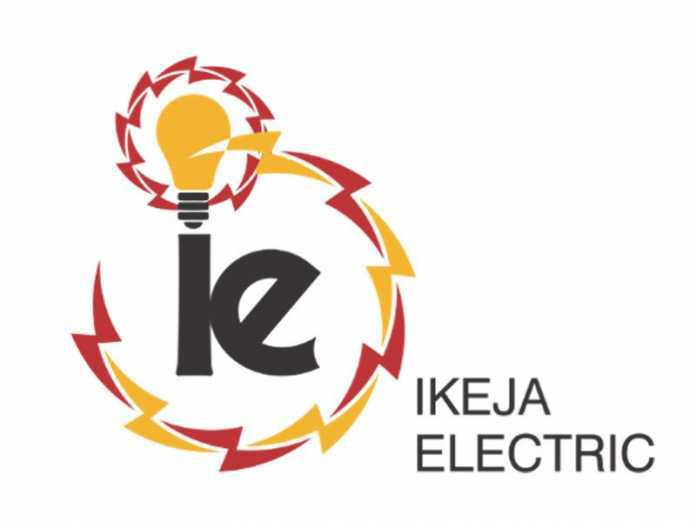 Using EKEDC has an example, there are 28 cash offices where you can simply walk into to pay your electricity bills. This is the new method of paying utility bills like electricity bills, cable tv, internet bills and so on. What this means is that you no longer have to go to any PHCN cash office to pay your electricity bills, you can pay from anywhere, at any time. What do you need to have before you can pay electricity bills using the online payment method? ATM Card – VISA, MasterCard or Verve. Utility bills Payment gateway – What payment gateway is the best for paying electricity bills in Nigeria? PayElectricityBills. Using PayElectricityBills, you can easily pay your electricity bills, pay PHCN from all 11 discos currently serving the whole of Nigeria. 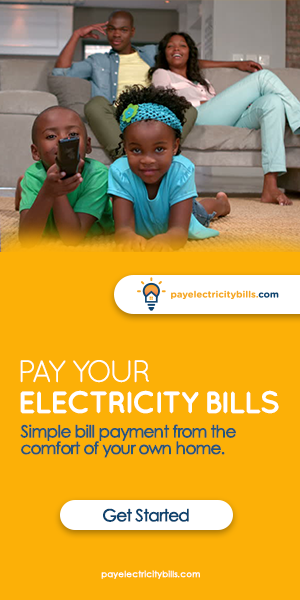 With PayElectricityBills, you get simple bill payments from the comfort of your home. A disco is an electricity distribution company, which has obtained the proper licenses involved to distribute power in a state. 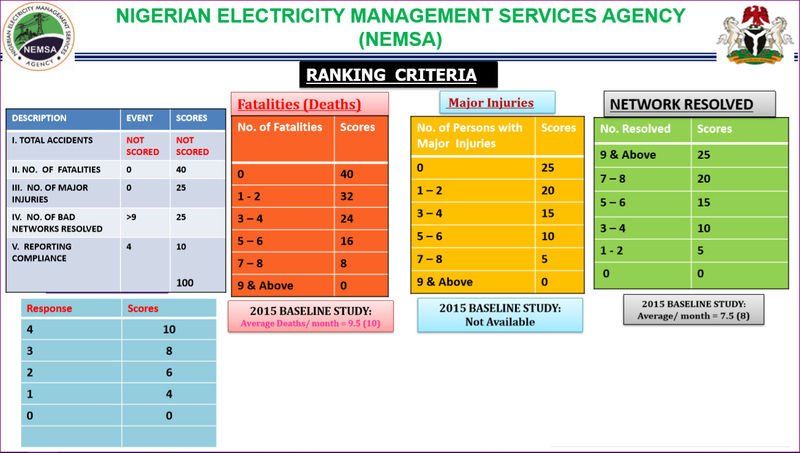 We currently have 11 electricity distribution company (Discos) in Nigeria regulated by The Nigerian Electricity Regulatory Commission (NERC). There are 11 different discos in Nigeria. Check your meter to verify which disco company you belong to but it's most likely if you stay in Lagos, you would be serviced by EKEDC which stands for Eko Electricity Distribution Company. This is the second step, which requires you to input your correct meter details. 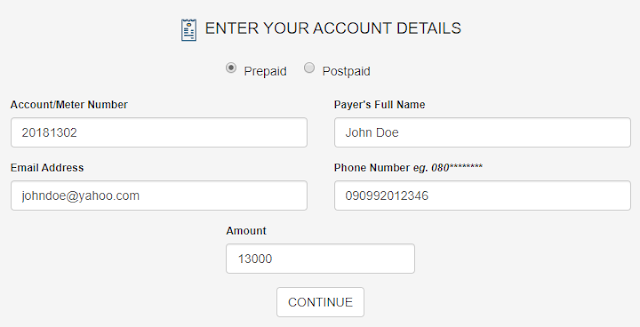 Enter your meter account details; make sure it's correct. If it's not correct then you would receive an error message "incorrect details. Please check and try again". You are required to correctly enter your meter details in 5 different boxes. After your information has been verified you would be taken to a secure checkout page where you input your card information and now it's time to pay your electricity bills online using PayElectricityBills online payment platform, which has saved you a lot of time, money and stress. Payment is done using credit cards like Verve, MasterCard, VISA and so on. Your token will be generated and sent to your mobile phone number and email address. Input the token code into your meter to complete the process. You just successfully paid your electricity bills without going out or standing in long queues, you did everything from the comfort of your home, office, anywhere and at any time of the day. So which is the best way to pay for electricity bills in Nigeria? Leave a comment below.